As you may have heard there was a hit and run in the 2300 block of Fire Mountain Drive on December 31st at approximately 9:30 a.m. The man and his dog were badly injured and rushed to the hospital. They are both in recovery and lucky to be alive. Some young witnesses have come forward with a bit of information, including a description of the driver, and police are looking for a white Ford E2 Series Van with dark tinted rear windows. If you have any information, please contact the Oceanside PD. We have also learned that the man hit, Mark Buczek, from the 1800 block of Avocado Rd., has started a Go Fund Me project to help with the medical expenses for he and his dog Bailey. While they did have some human insurance, the bills for he and the dog and their physical therapy and recovery add up quickly. 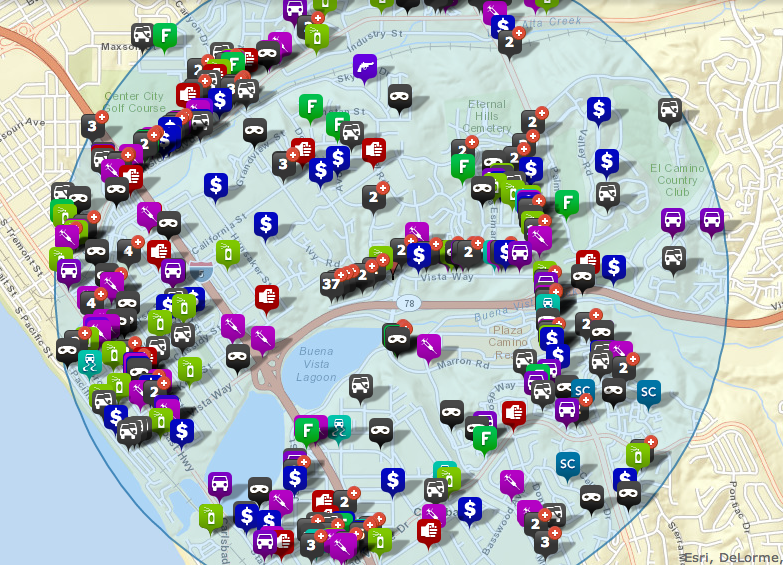 Categories: Local Info, News | Permalink. In Oceanside we live like it’s an oasis, but while it may seem like a never ending sunny beach-side paradise, the truth is, we live in a desert and we’re in the worst drought in history. There are a lot of ideas and opinions about what to do about it and the state is even hosting a congressional meeting to try to figure it out, but in the mean time, we’re trying to do what we can to conserve. 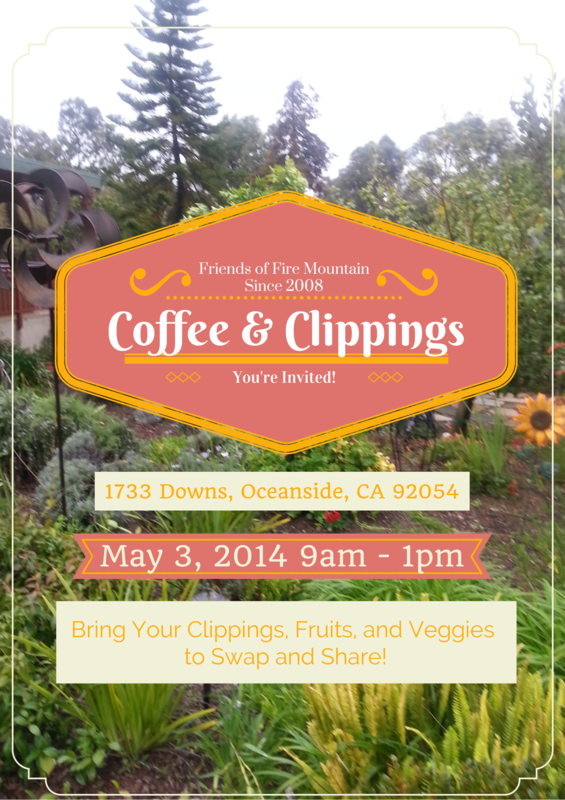 On the morning of May 3rd, 2014, the Friends of Fire Mountain will be hosting a Coffee and Clippings exchange in the Mellon residence garden – Meet your green-thumbed neighbors and plan to trade plants clippings, swap tips and maybe even enjoy a cup of coffee or two as the spring gardening season begins. Bring plants clippings of all sorts from your garden beds to share. While you’re at it, pack up anything else you might like to swap, including fruit and veggies from your garden. 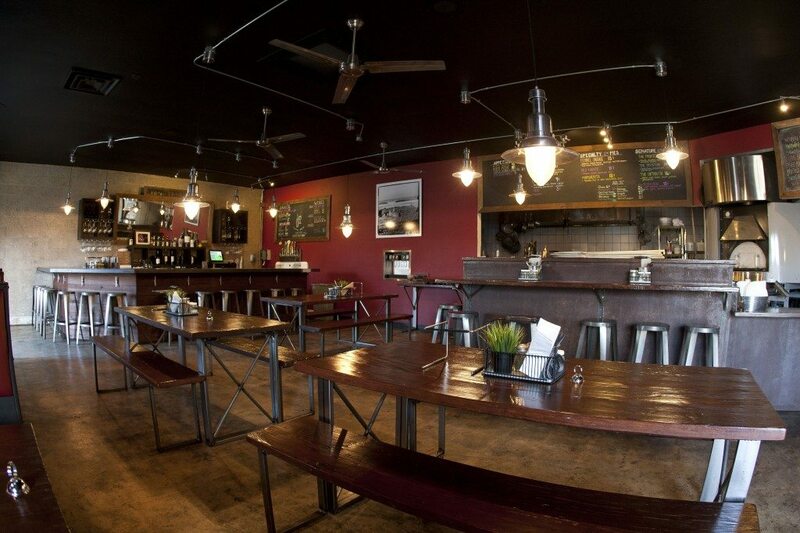 Categories: Local Info, Meetings and Events, Plants and Garden | Permalink.